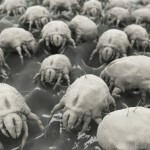 Why are dust mites harmful? Before you decide to hire a Bellevue maid service to battle with dust mites you should know why they are bad for your home. Well, these tiny pests create waste that can trigger moderate to sever allergy and asthma symptoms in humans.